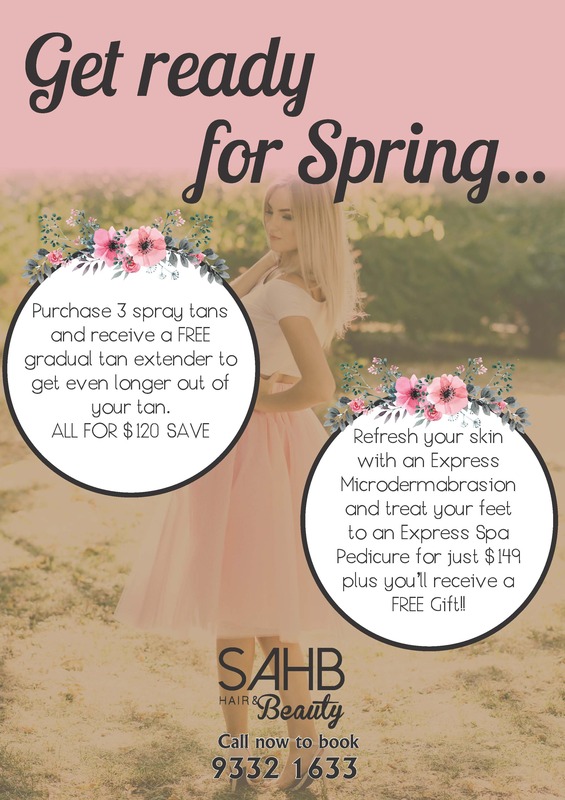 Did you know, SAHB has three dedicated beauty rooms so that you can fully indulge in the SAHB Experience? One for waxing and tinting another for relaxing massage and facials and the third for spray tanning; as well as a MakeUp area where your transformation is complete! We understand waxing isn’t the most enjoyable service we have to have done however our girls are trained and specialise in all waxing, including Brazilian Waxing. We are thorough, quick, affordable and will make you feel comfortable. We use a sensitive wax, which is handmade and designed to reduce irritation and discomfort, whilst providing a superior level of hair removal. Don’t worry we’ll look after you and you won’t want to go anywhere else. Includes cuticle work, removal of dry skin, exfoliation, a beautiful leg and foot massage and nail paint. Come on in and relax in our heated massage chair while we work on your toes and feet to make them look and feel amazing! Deluxe Pedicure Includes cuticle work, removal of dry skin, exfoliation, a beautiful leg and foot massage. Finishing with an hydrating paraffin wax foot treatment, hot towel and nail paint. SUNESCAPE have made the perfect formula for a successful tan with added vitamins, antioxidants and hydrating oils leaving your skin smooth and replenished. The only good tan is a healthy tan and with SUNESCAPE being paraben free, not tested on animals, alcohol free and made from using the most natural ingredients including ecocert DHA, makes it a healthy tan. Smelling of gorgeous coconut with tropic inspired ingredients such as jojoba, coconut and avocado oil. Escape to Bondi, Fiji or Maui? With only a 2 hours development time and our $29 Spray Tans on thursday offer we warn you, you may become a tan addict! Harlotte cosmetics is our make up of choice. Harlotte is a long lasting, Australian made, animal friendly/ cruelty free product. With sensitive formulas perfect for all skin types, this allows us to achieve quality outcomes In conjunction with our hair services, whether it’s purchasing makeup to use at home or your heading out. We can have you ready for any event, styled to perfection! Check out our packages for some great hair and makeup deals. This state of the art Microplus machine will transform your skin; the Microplus has a strong reputation of delivering visible results for healthy, flawless looking skin. You will have that glowing complexion you never thought you could have, but always wanted! Microdermabrasion perfectly prepares the skin for the infusion of treatment products using sonophoresis, which is soundwave technology that penetrates products into the deepest layers of skin. They are both effective in treating fine lines and wrinkles, pigmentation, acne, open pores, sun damage and rejuvenating dull skin..
ASAP ‘Science to beautiful skin’ is our preferred skin care range. It is Australian made at cosmeceutical level and is simple to apply, effective and affordable. If your skin needs a boost, lighten and brighten and your very time poor this is the facial for you! Just find 30 mins and our team will cleanse, exfoliate, AHA/BHA treatment under steam, lymphatic massage, serum infusion, moisturizer and SPF to finish. 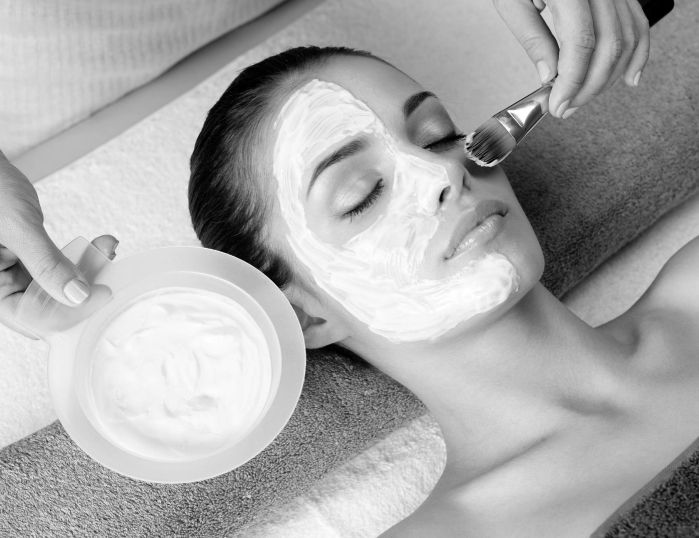 This is the go to facial involving relaxation with ultimate skin care involving cleanse, AHA/BHA treatment under steam, exfoliation, head, hand and facial massage, hot towel, serum infusion, moisturiser and SPF. ASAP also offer a range of facial peels for that next level of skin care and maintenance. They are non invasive with minimal downtime and suitable for all skin types from teenage acne to mature, aged skin. Packages and course of treatments are available also. Have you got a special occasion coming up? Whether it’s a girls night out, wedding, ball, birthday, whatever the occasion we have the perfect packages to have you looking fabulous! Book Your Experience Today, 9332 1633.